Paul Mader, CCIM, MBA, Lic# 00795784 has over 30 years experience in the real estate industry with background in commercial brokerage, mortgage lending and appraising. He specializes in assisting investors and business owners in achieving their investment and leasing goals in the local and regional markets. Professionally he holds the Certified Commercial Investment Member (CCIM) designation from the CCIM Institute, a professional achievement held by only 6% of the commercial real estate practitioners. Additionally, he is a licensed California Real Estate Broker, former Certified General Real Estate Appraiser (California) and has an MBA from the University of Colorado. Sub-Lease 3-Bay Automotive Repair/Service Garage. 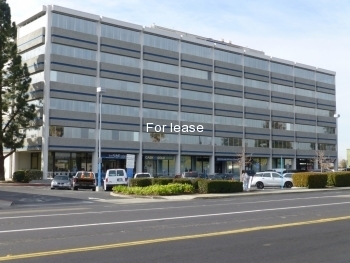 Multi-tenant high rise office building consisting of a 130,080 sq.ft. on six floors plus basement offices. GENEROUS IMPROVEMENT ALLOWANCE High visibility location. Dental office. Space has 6 operatories , reception, waiting room, 2 labs, break room, 1 private office, x-ray room, storage closet. Work with property owners, businesses, tenants and investors in property selection and negotiation of terms in the acquisition of commercial real estate. Retail | Office | Mixed Use | Industrial | Apartments | Land | Special Use Properties: Religious facilities, Restaurant, Automotive, Medical, etc. Over 30 years experience in commercial real estate brokerage. MTC Commercial specializes in sales and leasing, with Bay Area being the geographic areas of emphasis. Copyright © 2019 MTC Commercial Real Estate. All Rights Reserved.